There is an arms race going on in the Virtual Reality world, and the stakes couldn’t be higher. In the upcoming VR boom, the platform that enables user-generated virtual experiences that are both social and shareable will become the next Facebook. And although we shouldn’t count Facebook itself out of this picture, right now it’s anybody’s game to win. 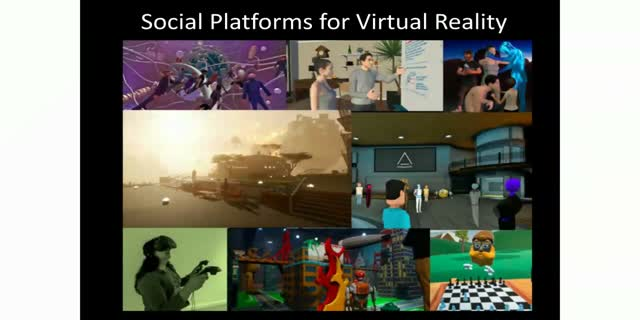 In this talk I’ll look at four of the major players working to bring social VR to the masses, what they are going to offer, and how they hope to monetize. What gives them the edge, and why should we all care?